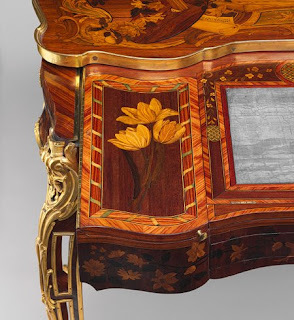 Jean-François Oeben, born in Heinsberg near Aachen, was known for his naturalistic floral marquetry and for his skills as a mécanicien which are apparent in the elaborate mechanism of this table with its sliding top. 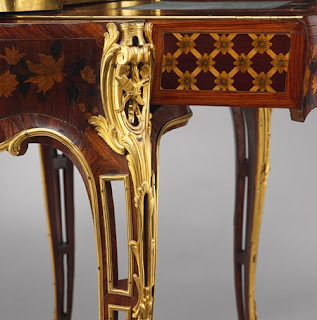 He made a number of such sophisticated tables. 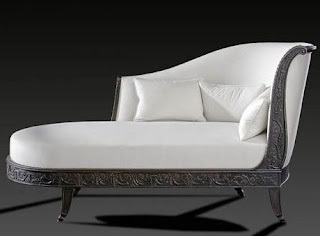 This particular one, with the unusual pierced openings in the curving legs, was intended for Madame de Pompadour. The main charge of her coat of arms, a tower, appears at the top of the gilt-bronze mount at each corner. 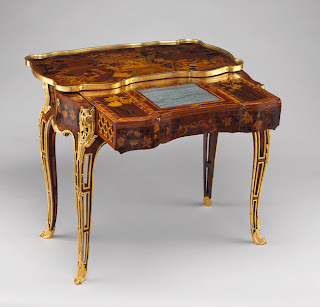 The table was left unfinished at the time of Oeben's death in 1761 and completed by his brother-in-law Roger Vandercruse known as Lacroix. 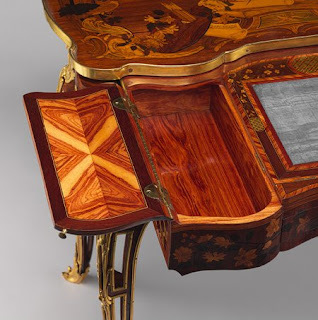 Jean-François Oeben, or Johann Franz Oeben (9 October 1721 Heinsberg near Aachen - Paris 21 January 1763) was a French cabinetmaker whose career was spent in Paris. Nothing is securely known about his training. 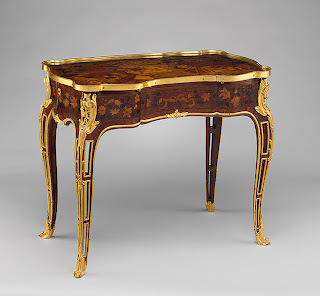 He was in Paris by about 1740; from 1749 he lived in the Faubourg Saint-Antoine. 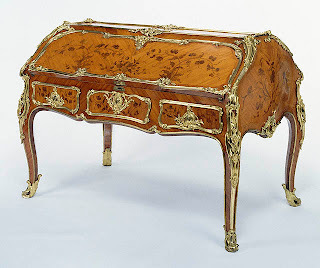 On 29 June 29 1749 he married Françoise-Marguerite Vandercruse, daughter of the ébeniste François Vandercruse called Lacroix, and so was the brother-in-law of another outstanding cabinet-maker, Roger Vandercruse Lacroix, who stamped as R.V.L.C. 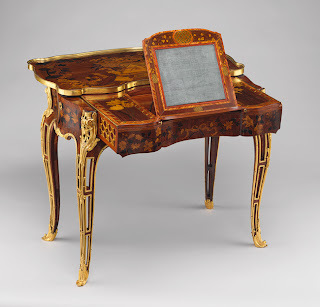 Roger Vandercruse Lacroix (1728 — 1799), often known as Roger Vandercruse, was a Parisian ébéniste whose highly refined furniture spans the rococo and the early neoclassical styles.